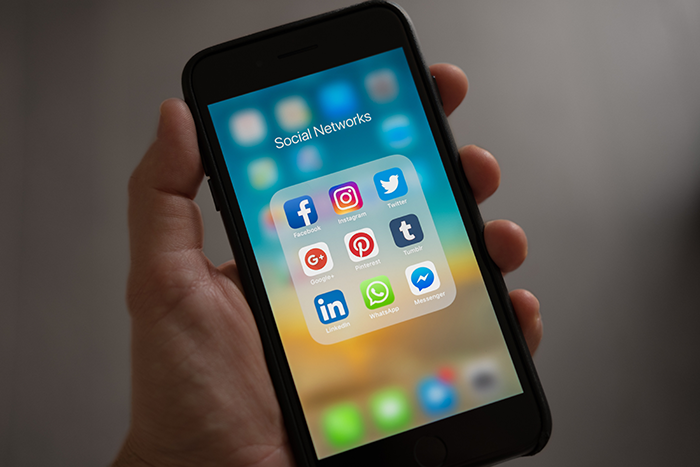 In a recent post, MCP Insights chatted with Dr. Andrea Tapia, associate professor of information sciences and technology at Pennsylvania State University (PSU) in State College, about the impact social media is beginning to have on the 911 community. 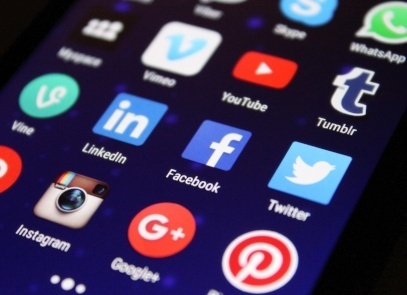 This post explores a pilot project that concluded in August 2018 at the Charleston County (S.C.) Consolidated 911 Center that explored the use of social media data in emergency management and response. MCP, RapidSOS and RapidDeploy also participated in the pilot project. Collaborators from PSU’s College of Information Sciences’ 3C Informatics: Crisis, Community and Civic Informatics, led by Dr. Tapia—who is working with MCP for the next year as she takes a sabbatical from her duties at Penn State—explored how access to social media data could impact 911 operations, specifically by improving situational awareness during emergencies. You can hear from all pilot program participants, including the Director of the Charleston County Consolidated 911 Center, during MCP's panel discussion on social media and 911 on Thursday, December 13, 2018 at 12:00 PM ET. Register here. As people change how they communicate, 911 must change too. Recently MCP Insights chatted with Dr. Andrea Tapia, associate professor of information sciences and technology at Pennsylvania State University in State College, about the impact social media is beginning to have on the 911 community. Dr. Tapia is working with Mission Critical Partners for the next year, as she takes a sabbatical from her duties at Penn State, to help public safety agencies leverage the opportunities that social media interactions provide to enhance emergency response. Insights: Why is social media becoming more important to the emergency response community? Tapia: Society has changed the way it communicates. Most of society is not using the telephone as it has in the past. This isn’t true of only the younger generations—even older people are changing. My 75-year-old father is texting now rather than making phone calls, mostly because his children and grandchildren insist that he do so. The middle and younger generations are changing because they want to, while the older generations are changing because they must. Most of society—even the reluctant—are changing. Recent history has shown that, when 911 becomes overwhelmed, citizens turn to social media in an effort to have their pleas for help heard. Last fall, Texans trapped in homes flooded by Hurricane Harvey used the social radio network app Zello to contact the volunteer Cajun Navy fleet and posted their addresses on Facebook and Twitter to aide emergency medical services in locating them. After a 7.1 magnitude earthquake collapsed buildings in Mexico City, volunteers used WhatsApp to recruit and mobilize informal search and rescue teams before the army, navy and civil protection units were mobilized. When wild fires destroyed parts of California over the course of several months, many turned to social media to plead for help locating missing loved ones and to mark themselves as “safe” using Facebook’s Crisis Response feature when they could not reach friends and relatives. This blog post is the second in a two-part series with two MCP experts, John Cunnington and Nancy Pollock, who together have more than of 80 years of experience in public safety communications. This blog post is part of our Let's Evolve 911 campaign that commemorates the 50th anniversary of the first 911 call, which took place 50 years ago this year. 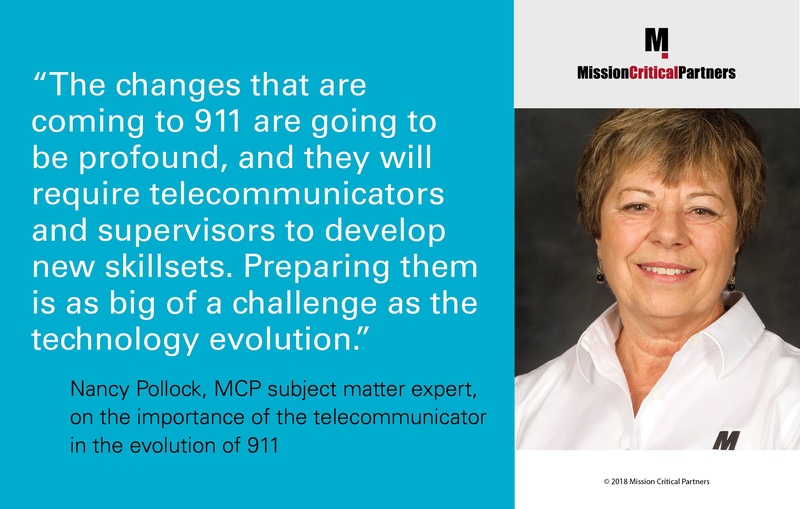 In a previous post, Nancy Pollock and John Cunnington shared their perspectives on the evolution of 911 service in the United States over its first half century. In this post, they pick up where they left off, finishing with their insights regarding the sector’s future. MCP Insights: In the previous post, you spoke of the addressing challenges that existed in the early stages of 911 service. But eventually, ANI/ALI and selective routers became ubiquitous—so the next big step forward was the introduction of CAD. Nancy: To understand how important the introduction of CAD was, you have to understand how things were done before it arrived. John: There was a manually created “run card” for every physical location—on that card was a list of the various emergency services that could be dispatched to that location. These run cards were the precursors of the datasets that are contained in today’s CAD systems. When a call came in, the dispatcher would pull the run card and use it to make the appropriate dispatching decisions. It was important that the run card was put back in its rightful place, so that it would be available for the next incident at that location. Keeping the cards updated was a major effort. This blog post is the first in a two-part series with two MCP experts, John Cunnington and Nancy Pollock, who together have more than of 80 years of experience in public safety communications. This blog post is part of our Let's Evolve 911 campaign that commemorates the 50th anniversary of the first 911 call, which took place 50 years ago this year. A national property insurance firm coined the slogan, “We know a thing or two because we’ve seen a thing or two.” Given the collective experience of MCP’s experts, it is a slogan we too would be justified in using. In this year when the 50th anniversary of 911 service in the United States is being celebrated, two of those experts, John Cunnington and Nancy Pollock, shared their memories about the things they’ve seen over their well-established 911 careers, with a focus on the evolution of 911 service to date. MCP Insights: What was 911 service like when you started your career? John: I started in the mid-1970s, in a very rural part of central Pennsylvania, and for the first six to eight years we didn’t have routine access to 911 service. With only small towns or cities with 911, depending on the type of emergency, citizens would call 10-digit numbers for each discipline: police, fire, EMS and so on. Consolidated communications centers was our key focus. It was a lot to coordinate, and getting calls to the right place was cumbersome, time-consuming and fraught with error. And even though we could see the benefits of consolidating all calls in a single emergency number and platform, many service chiefs and local elected officials resisted the change, citing local control and knowledge. The key to our early success was having a “champion” in each county for consolidation. In my early experience, I was supported by courageous police chiefs, EMTs and firefighters to keep consolidation in the forefront. They were the early adopters in those years.